Today Business of Fashion and global fashion search engine Lyst released a report on the hottest brands of Q2 (that's April to June FYI), but it's the list of best sellers that has captured our attention. While it's not surprising that the top 10 heavily features Gucci, there are some surprises in there, too. 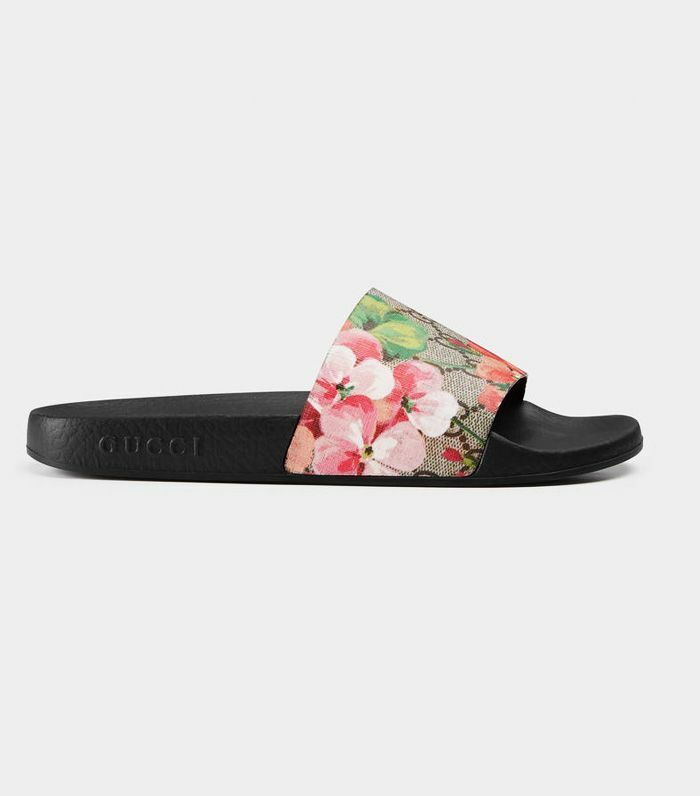 The best-selling product wasn't a handbag, but it was a pair of Gucci logo slides covered with a bloom print. Another pair of logo sliders by Givenchy also made it into the top 10, along with three pairs of trainers by Gucci, Common Projects and Comme des Garçons. This year's most talked-about new It bag—Chloé's Nile—also made the cut. Scroll below to see the top 10 list of best-selling products. We didn't think sliders would be the best-selling product.